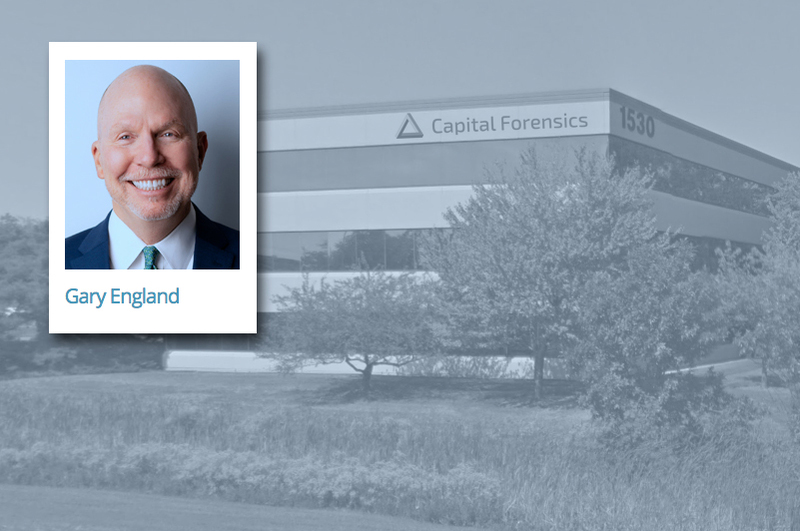 PALATINE, Ill., Jan. 22, 2019 /PRNewswire/ — Capital Forensics, Inc. (CFI) is pleased to announce that it is expanding the firm’s regulatory and compliance team, with the addition of Gary England as a Senior Advisor. Mr. England brings decades of experience in applying and interpreting federal securities laws and regulations as legal counsel, with specialized expertise in the Human Resource aspects of employment regulation, compliance and litigation. He has extensive experience in developing and implementing Human Resource programs and policies that comply with federal and state employment legislation. Gary England, Esq. has joined Capital Forensics Inc. as a Senior Advisor. Mr. England brings decades of experience in applying and interpreting federal securities laws and regulations as legal counsel, with specialized expertise in the Human Resource aspects of employment regulation, compliance and litigation. Most recently, Mr. England served as Executive Vice President, Chief Legal Counsel and Corporate Secretary for J.J.B. Hilliard, W.L. Lyons, LLC (Hilliard Lyons), with oversight of that firm’s dually registered full-service Broker-Dealer and Investment Advisory businesses. Previously, he served as Vice President, Director of Human Resources and Employment Counsel for Raymond James Financial, where he managed Human Resources for all lines of business in its US offices, provided oversight and served as an advisor to that firm’s international offices. Over the course of his career, he has practiced labor and employment law, representing employer clients in matters including union certification elections, grievance and arbitration hearings, labor contract negotiations, wage and hour matters, and employment discrimination litigation. Mr. England holds a B.S. degree in Business Administration and an M.A. degree in Manpower, Industrial Relations and Organizational Behavior from the University of Alabama. He earned a J.D. degree from the Cumberland School of Law of Samford University, and is admitted to practice law in a number of states. He is a member of the Association of Corporate Counsel. Founded in 1993, Capital Forensics, Inc. (CFI) provides data analysis, expert testimony, litigation support and regulatory consulting for the financial services industry. CFI’s clients range from financial institutions – including broker-dealers, hedge funds and Registered Investment Advisors – to FORTUNE 500 companies. CFI’s major practice areas include: Data Analytics • Litigation Support & Expert Testimony • Compliance, Regulatory & Risk Consulting • Forensic & Fraud Investigations • The industry’s most comprehensive suite of Arbitration Tools, including ArbReporter®, ArbSelector® and MockArb®. CFI has assisted business leaders and litigation teams in thousands of successful case resolutions and regulatory inquiries.